I’ll never forget the first meal I ever had in Amsterdam. 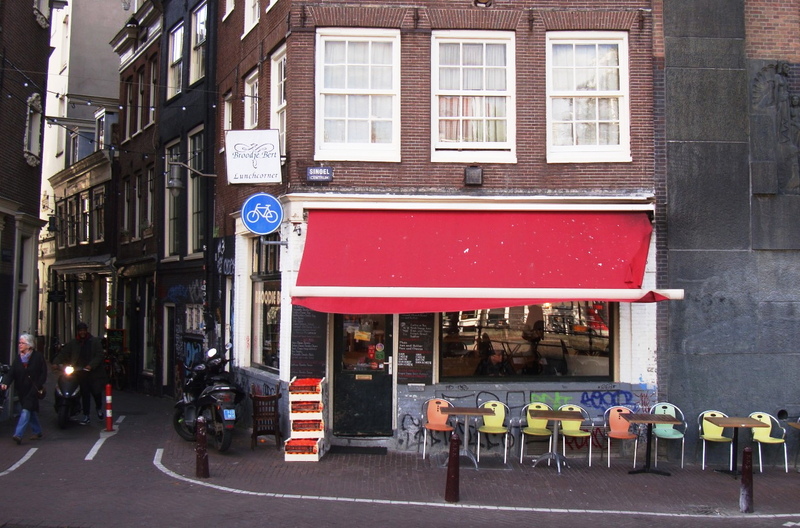 It was back in the late 90s at a little sandwich shop off Singel Canal called Broodje Bert. The lunchroom was small seating perhaps 10 people inside with chairs for another 20 on an ad hoc terrace overlooking the canal. 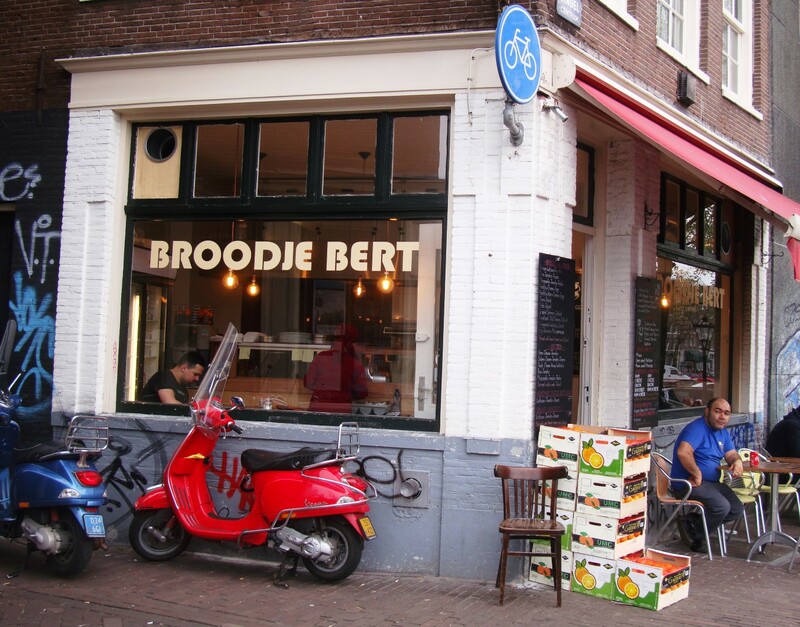 Locals know Broodje Bert to be one of the best cheap meals in the entire city, and at lunchtime a queue forms with harried businessmen lobbying for sandwiches before they have to return to their cubicle-bound working life. Tourists often wander in as well so a thick scrum of eaters is quite normal at the small lunchroom. I make it a point to visit Broodje Bert on each trip to Amsterdam and last week I found myself back in the city, and hungry for a sandwich before I had to catch a train out to the airport. It’s early and the diner is packed with people hovering over plump, bronzed omelets, smoking hot cups of coffee and broodjes (Dutch po boys). The same counter guy from the 90s immediately greets me and with one arched eyebrow lets me know he’s ready for my order. With 12 hours of flight time in my future I ask after two farmer’s ham, and one old cheese broodje. One sandwich per four hours of travel normally sates me, and I reckon today will be no different. I take my breakfast on the plane; the old cheese is fine, thinly sliced, and piled high with just a touch of funk. Hours late I pillage the farmer’s ham which is reminiscent of pastrami with plenty salt and smoke in the thick stacks of meat. New Orleans is awash in great sandwich shops but Broodje Bert could open up here and immediately be one of the top players in the Big Easy. 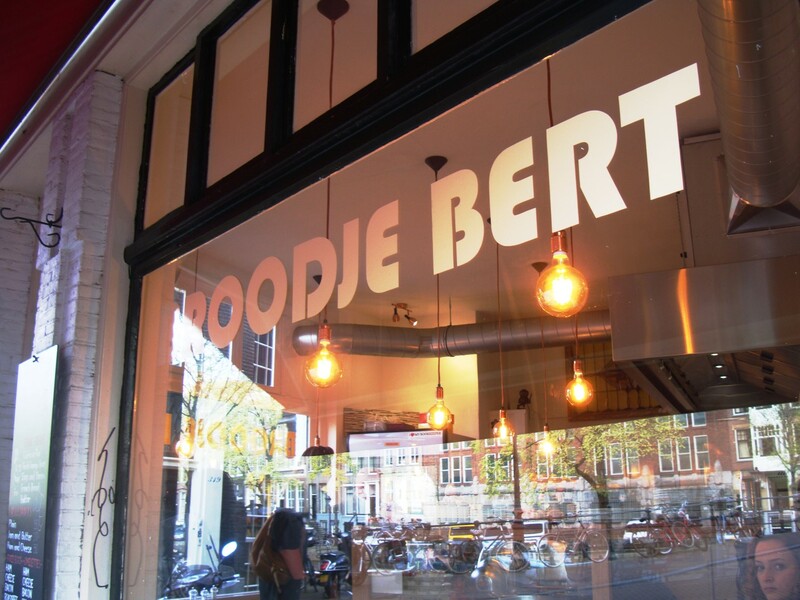 This entry was posted in FOOD and tagged broodje bert, on the road with rl reeves jr, Singel 321. Bookmark the permalink.